Home / Programs / Announcing Santa Barbara Gives! $402,537.95 is the preliminary fundraising total for the 2017 Santa Barbara Gives! campaign. Amazing! Thank you to all the donors (almost 600!) and congratulations to all the incredible participants! We are thrilled to announce an exciting new partnership with the Santa Barbara Independent called Santa Barbara Gives!. With this program we hope to increase the capacity of some of our region’s most important community-based organizations, providing them with not only a sophisticated, online fundraising platform but, more importantly, access to one of our region’s largest and most progressive audiences. It’s not often that a media outlet is willing to leverage their platform to cultivate these much-needed resources to solve community problems. We applaud the Santa Barbara Independent for stepping up to help our community in this way. While Santa Barbara County is fortunate to be a region of tremendous prosperity and natural beauty, our region also faces many of the same problems that challenge our society as a whole: poverty, environmental degradation, homelessness, racial and ethnic prejudices, violence against women, homophobia, and many other social, economic and environmental problems. In this guide you will find social change and cultural organizations, selected by the FUND’s Grant Making Committee, who are working to address some of those problems here, where we live and work. Most of these groups are working for change by focusing on the root causes of societal problems and providing long-term solutions while operating in a manner that advances democracy here at home, and being responsive to and directed by the people they serve. Because this is the inaugural year of the program, it was decided to keep the list of participating organizations to a manageable size. If this program is successful, 2018 will include an open request for proposals with stated criteria for community-based organizations to apply by a specific deadline. 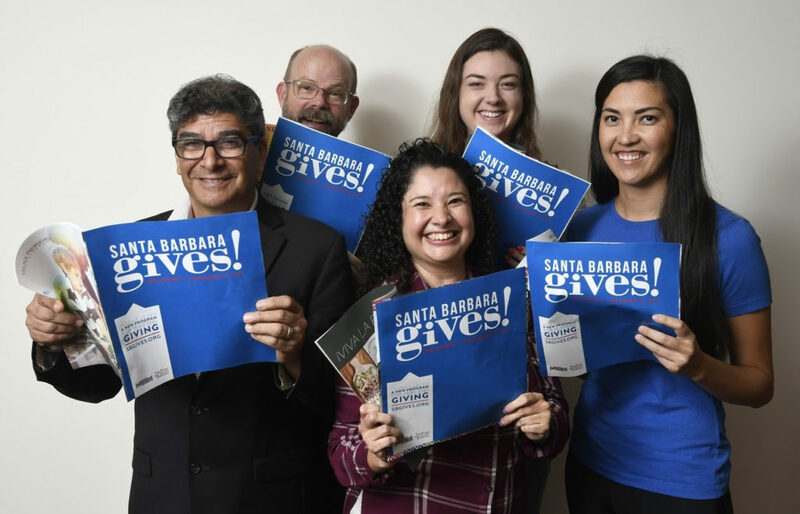 We encourage you to pick up this week’s edition of the Santa Barbara Independent featuring the SBGives! Guide and consider supporting any number of the organizations profiled. Or, you can simply visit SBGives.org, donate and then share it with your social media networks.